The second installment of the WTTW-produced “10 That Changed America” series premieres Tuesday, and this time, host Geoffrey Baer is looking at 10 American parks that revolutionized the way we live and play in our communities. The show includes a look not at Chicago's marquee downtown parks like Millennium Park, but its neighborhood parks. Those parks offered things like shower facilities, hot meals, English lessons, classes, vaccinations and more. Baer said that the concept of field houses actually originated in Chicago. “It’s a cold city in the winter time, and since these parks were providing social services, they wanted to be sure that they had an indoor space that they could provide services year-round," Baer said. Mt. Auburn Cemetery in Cambridge, Mass. is also a popular park. The High Line in New York City used to be an elevated railroad line. Jim Ellis Freeway Park in Seattle was built to overcome a divide in the city created by Interstate 5. Gas Works Park in Seattle used to be a toxic site from an abandoned gas manufacturing plant. Much of the old factory is still preserved in middle of today’s existing green space. Sherman Park is located in the New City neighborhood on Chicago’s South Side. 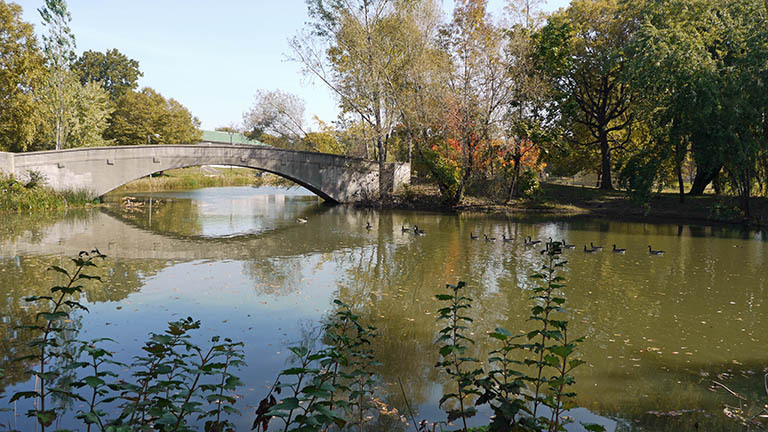 Baer said that thanks to Chicago's smaller-scale neighborhod parks, the country began to think of parks not just as a large-scale place like New York City's Central Park where people could enjoy nature, but rather as a neighborhood-based service. “This really pioneered the idea that all across the country that parks should be brought to the people,” Baer said. “10 Parks That Changed America” premieres immediately after “Chicago Tonight” at 8 p.m. on WTTW. April 5: Chicago's own Marina City is featured as one of 10 American homes in a new PBS series hosted by Geoffrey Baer that premieres tonight. April 7: We get perspective on the business of interviewing from Mark Bazer, host of "The Interview Show," which airs Friday nights on WTTW starting this week.